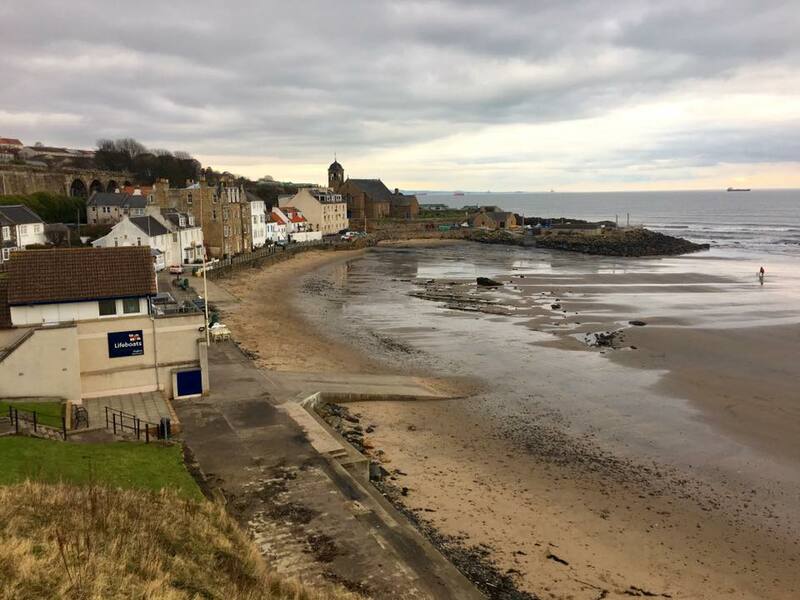 Fife Ambassador and Travel Blogger Funky Ella explores the Kingdom by rail this month and shares her top tips and places to stop off for a great day out. 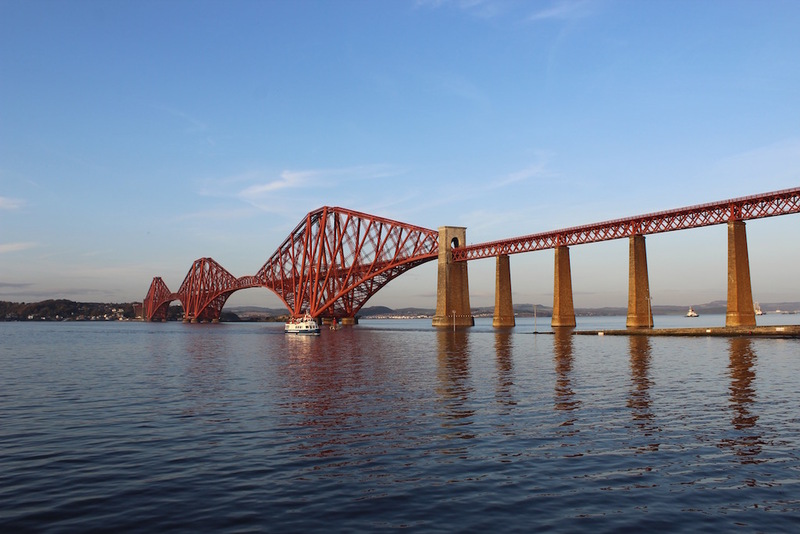 The Kingdom of Fife is a mere 20 minutes from Waverley train station in Edinburgh and there is the added bonus of getting to cross the iconic Forth Bridge. Now a UNESCO World Heritage Site, this impressive bridge is one of three, along with the Forth Road Bridge and the brand new Queensferry Crossing, which opens at the end of the month. Jumping on the train and exploring the East Coast line is the perfect day out from Edinburgh and a nice contrast to the bustling city centre. 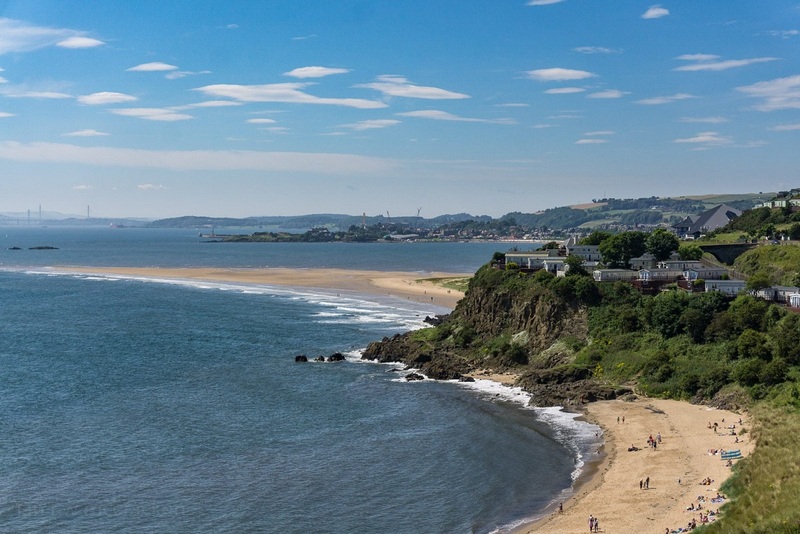 Using the Edinburgh Days Out Pass, which gives users 48 hours of unlimited train travel, you can explore the coast of Fife, walk the award-winning beaches, play golf on one of the 50 courses, eat some of Fife's famous local cuisine and discover Fife's beautiful fishing villages and historical towns. 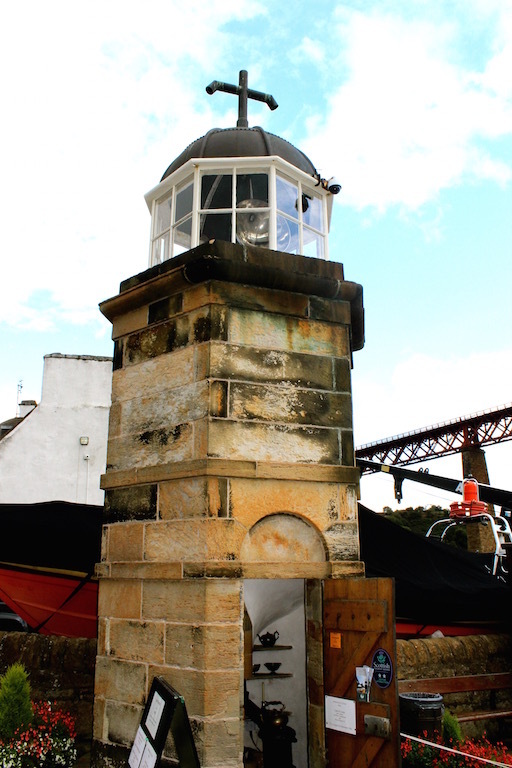 The village of North Queensferry, the first stop, sits on the banks of the Firth of Forth, nestled between the Forth Bridge and the Forth Road Bridge so is perfect to stop off and admire these feats of engineering up close. Deep Sea World is nearby and has loads of exhibits including an underwater safari, sharks (including large sand tiger shark) and seals. Down by the shore you can also see the smallest working lighthouse in the world, built in 1817 by the famous Robert Stevenson. 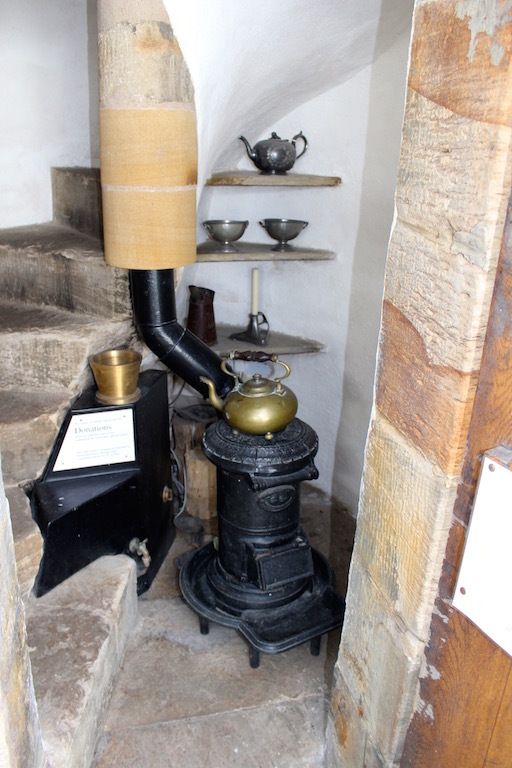 We attempted to climb the 24 steps to the top, like they last did 100 years ago, but quickly realised it was a "one at a time" kind of place and not one for the claustrophobic but well worth visiting anyway, especially as you can light the lamp and become an Honorary Keeper of the Light! You can also pick up the Fife Coastal Path here, if you fancy a walk. You can also pick it up at a few of the other stops on the line and walk between stops, so it's ideal if you want to do the 117 miles in sections. The train then winds its way through the former shipbreaking village of Inverkeithing, where the Titanic's sister ships the Homeric and the Olympic were broken up in 1936, and the pretty coastal town of Dalgety Bay. The lightest, fluffiest scones I've had the pleasure of tasting for a long time. Perfectly made coffee too. Lovely rustic-yet-trendy decor with a pretty gorgeous cherry blossom tree delicately winding it's way up the wall. 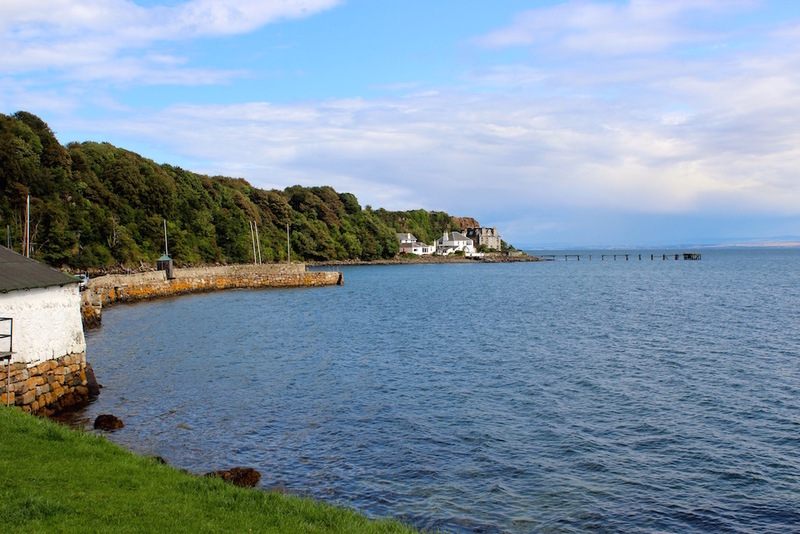 Aberdour is the next stop and is home to one of Fife's stunning award-winning beaches, the Silver Sands. The long stretch of white sand is popular and makes for a great day out with the family. There is usually a bouncy castle in the summer, a putting green and the Sands cafe for an ice cream. The beach looks out to the islands of Inchmickery and Inchcolm and is backed with beautiful countryside. Aberdour Castle is probably my favourite castle. There are terraced gardens, the beehive doocot and the castle itself, which has architecture spanning 500 years and an intricate colourful original painted ceiling. The Royal Burgh of Burntisland is a place families have been visiting for their holidays for as long as I can remember. A major event held every year is the second oldest Highland Games in the world, swiftly followed by the fun fair, which stays in Burntisland for the duration of the summer holidays. 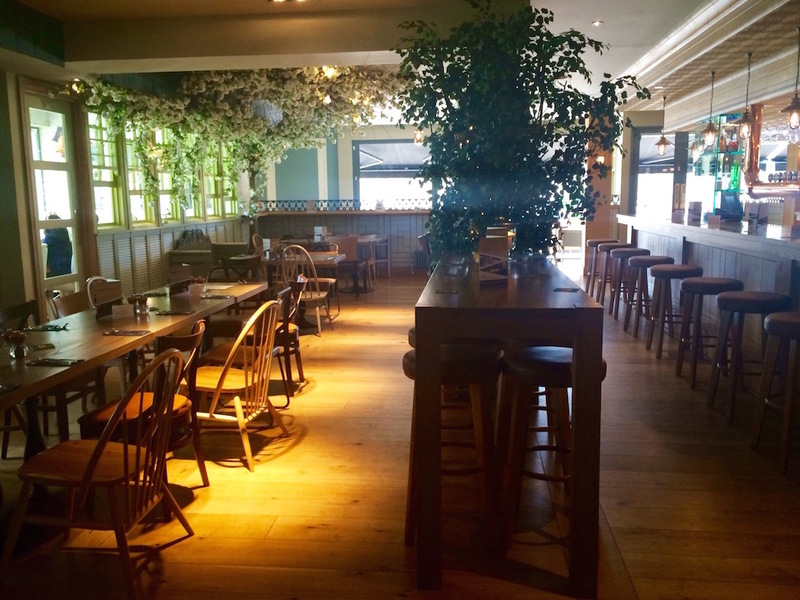 The newly opened Novelli's on the High Street has quickly become a favourite. An ice cream parlour with hand made ice cream in an exciting and well thought out range of flavours. If you are wondering which section of the Coastal Path to walk, I can highly recommend the path between Burntisland and Kinghorn (and if you are feeling fit, on to Kirkcaldy). You will pass the beautiful Pettycur Bay beach, with views over to Leith and the Pentland Hills, and see lava flows, which are remnants of the eruption of the Binn 300 millions years ago. Arrive at Kinghorn beach, walk up the hill and reward yourself with some cake from Nicola's cupcake cafe on the High Street. This part of the train journey hugs tight to the coast so bag yourself a seat on the right hand side of the train for the best views over the water. Next stop is my hometown of Kirkcaldy and right next to the train station is the newly refurbished Kirkcaldy Galleries with a gorgeous cafe, museum and galleries, which are at the moment showing an exhibition of the Glasgow Boys. Nearby is the Adam Smith Theatre with a packed calendar of shows and films. The train journey now leaves the coast and heads inland to the town of Markinch from where you can stretch your legs with a hike around the Lomond Hills. 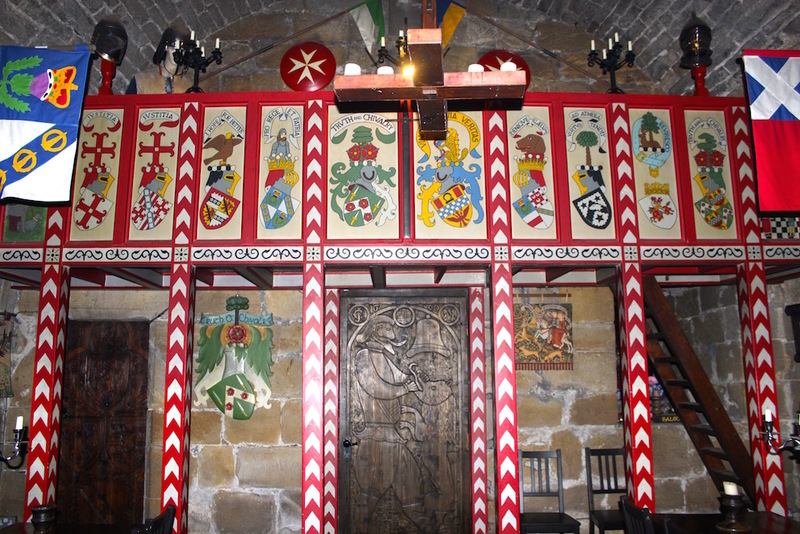 Or you might prefer a visit to Balgonie Castle. 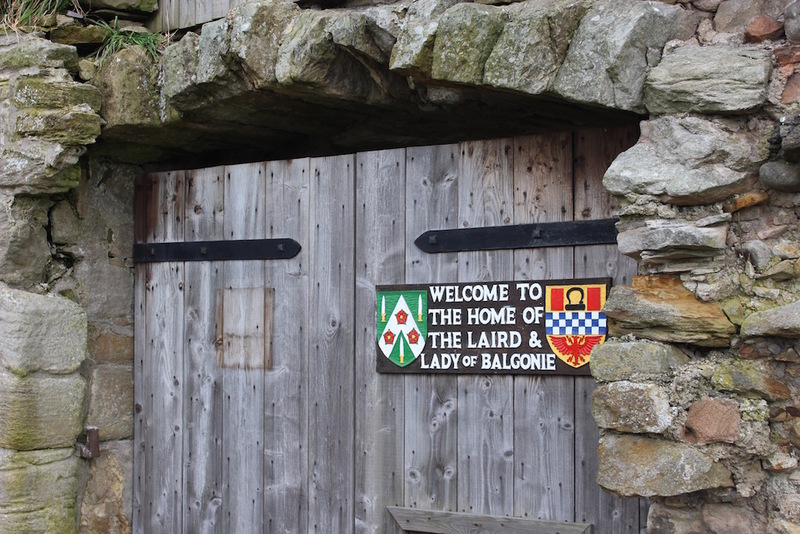 We visited last year and were intrigued by the Laird and his colourful artistic flair, which is apparent on many of the walls and ceilings inside the renovated parts of the castle. The station at Ladybank is the oldest unaltered train station in Britain and the next stop, Springfield, is where to get off of you fancy stepping back in time at the Hill of Tarvit, a stately Edwardian mansion where you can play parlour games, croquet, or even hickory golf. Inside you get a feeling of real upstairs and downstairs living (think Downtown Abbey). The former market town of Cupar is packed full of pretty historical buildings and the train station is within walking distance of the main hub with cute independent shops, cafes and restaurants. There is a large park and the River Eden flows through the town. Remember to look up in this town, to see the original features and old shop names you might otherwise miss. You'll notice a cake theme going on with my favourite places to eat, nothing beats a good cake I'm sure you'll agree. Sean's homemade cakes are fantastic and it's a bonus I can take the dog too. Since the railway doesn't reach the town of St Andrews, Leuchars is where you want to stop where you can jump on a bus into town. Leuchars is also the final stop of the Fife Circle before the line crosses the River Tay to Dundee. It was once the base for the RAF and home to our yearly visit to the Leuchars Air Show, where, every year growing up, we lay on hay bales with egg mayo sandwiches and hot chocolates, watching the Red Arrows and war planes loop the loop above us. The army now uses the base and the air show is no longer, but being within 4 miles of St Andrews ensures it's still a popular place. This scenic rail journey shows off some beautiful coastline and it wouldn’t be the first time I’ve had the camera slapped up against the train window to block out the reflections so I can get a good photo. The Days Out pass cost £18 for an adult ticket and £34 for a family ticket (two adult and two children). You’ll get 2 days consecutive travel within roughly an hour of the city and you don’t need to book in advance.